Discover 133 campsites of France 3 stars but also over 450 campsites throughout France, offering a variety of rental mobile homes, chalets and accommodation of more atypical as bungalows or caravans, but also leisure facilities such as aquatic areas with sometimes an indoor or well even with heated pool for your comfort, for an unforgettable vacation. 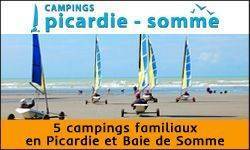 Campsites in France 3 stars welcome you to your camping holiday 2, 3, 4 and 5 star or LRP. 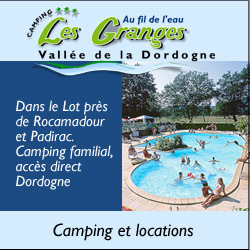 Campsites with recreational facilities (swimming pool, water park, water park, water slides, wading pool, spa, playground, tennis court, multi-sports), entertainment and services (restaurant, bar, food, WiFi access, disabled access, camper services) to make the best of holidays throughout France 3 stars. 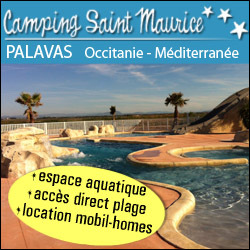 Traditional camping in France 3 stars on pitches or rental of mobile home camping, campsites below offer the best camping in France 3 stars. 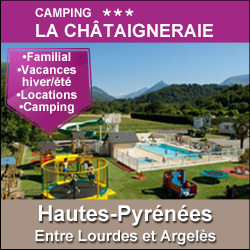 Enjoy the outdoor accommodation and campsites in France 3 stars! 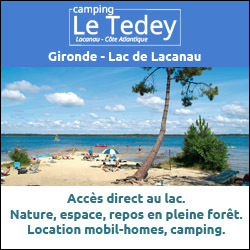 Rental of mobile homes, chalets, bungalows, cottages, Bengali, cottages, trailers, caravans, tipis and camping sites equipped for your holidays in France 3 stars, our French campgrounds welcome you everywhere in France 3 stars, a favorite camping in Europe. 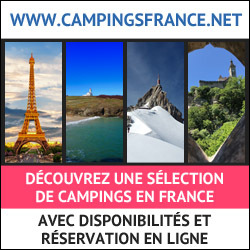 Have a great holiday camping with our campsites in France 3 stars! 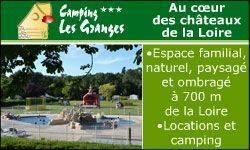 Campsite Domaine de Bellevue. It will be a pleasure to welcom you in our quiet and family campsite. We are located at Saint Christophe du Ligneron in natural surroundings, near Challans, at 20km from the beach (Saint Gilles Croix de Vie). On site, you will enjoy the nature with our 2 fishing pounds and the animal park. You will also appreciate our differents amminities : the swimming pool which is heated and covered with paddling pool, the bar, the take away, the new children's playgroud area with a trampoline, our little grocery store... We propose you different kind of accomodation : tent rental, mobil home rental, chalet rental, spacious pitches with electricity (16 Amp.) and sewage disposal. Our sanitary blocks are new with launderette, baby facilities and disabled access. 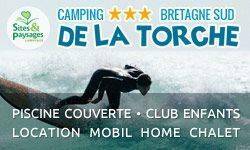 Welcome to our 3 stars campsite in Côtes d'Armor in Brittany. 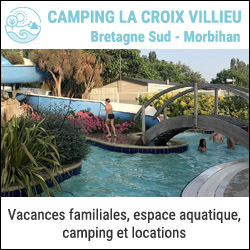 Our campsite BELLEVUE is located in Saint-Quay-Portrieux, between Saint-Brieuc and Paimpol, where you will discover a superb view on the Bay. 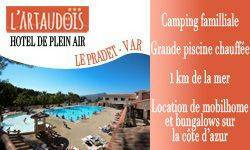 Camping by the sea, along the GR34 and 800m from the town center, as well as beaches and shops. For your holidays, a weekend or a short break, we offer pitches and rentals, with a view of the sea. The campsite has a heated outdoor swimming pool as well as various services on site or nearby. Booking online from the website or by phone: 02-96-70-41-84. 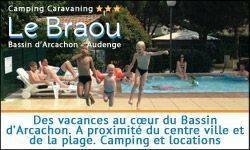 In Brittany, the Camping du Lac welcomes you to Bain de Bretagne in Ille et Vilaine (35). Our 3 star campsite extends over 3 ha in a green setting in the middle of nature, and on the edge of a lake of 35 ha. Our campsite invites you to relax, and it is shaded for a holiday that is ideal for rest and relaxation. We offer mobile home rentals and traditional pitches. The campsite has a covered and heated swimming pool (and sauna), as well as a bar-restaurant' la Paillotte du Lac', for your meals and events.